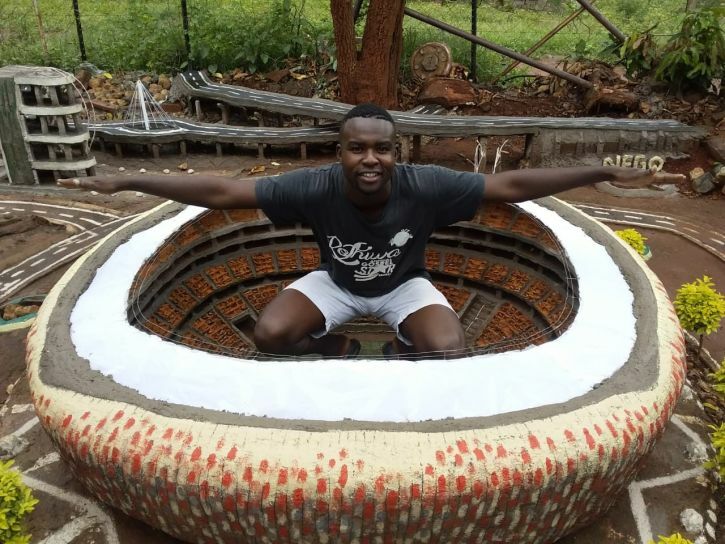 Stadium Management South Africa (SMSA) has pledged financial support to help Nego Negondeni complete his engineering studies after they learned he'd built a replica of the FNB Stadium with recyclable waste material. Negondeni used cement, sand, cardboard and soil to build a two-and-a-half meter wide model of the stadium in his backyard, in Limpopo. I wanted to experience being at the FNB Stadium in 2010, but I could not attend the matches. So, I started building the replica of the stadium to bring the feel to Limpopo. The replica caught the attention of South Africans after Negondeni posted an image on social media. SMSA picked up on the excitement and quickly responded to his initiative, pledging to help him finish his degree in civil engineering at the Vhembe TVET College's Makwarela campus in Thohoyandou. It also invited Negondeni and 3 family members to attend the Absa Premiership match between Kaizer Chiefs FC and Orlando Pirates FC at the stadium he loves on February 9th. The offer includes transport to and from Johannesburg, accommodation, a stadium tour and tickets for the game. I was very impressed with this young man’s entrepreneurship and upon speaking to Nego, was more so with his enthusiastic and vibrant personality.